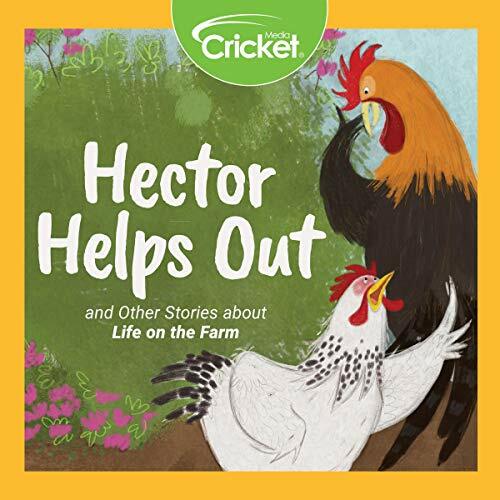 Enjoy this collection of stories for children about life on the farm. In "Hector Helps Out", Calliope the hen enlists the help of Hector the rooster in an effort to retain her egg. They work to pull a fast one on Farmer Bean. Also included are nine other stories about animals and living on the farm: "Hatch! ", "Fresh from the Farm", "Grandpa Drives a Milk Truck", "Mem and Grandpa at the Farm Stand", "Diggory Dog", "Fleece Fiber, Yarn Sweater", "Harvest Time with Papa", "Herbert, Hurry Up", and "A Rootin' Tootin' Cowboy".